The personal tax rates for low- and middle-income earners are going to drop for the 2012-13 tax year. Individuals who expect to have taxable income of less than $80,000 in the 2012/13 income year may get a permanent benefit from deferring some income from the 2011/12 income year until the 2012/13 income year to take advantage of the higher tax free threshold that applies from 1July 2012. To claim all your work-related deduction entitlements, you need to check whether you have all the necessary receipts or credit card statements. Typical work-related expenses which are allowable include uniforms, employment-related telephone, mobile and internet costs, subscriptions, home office expenses and union fees. Where you don’t have the necessary receipts on hand you can still claim up to $300 of work-related expenses provided the claims relate to outgoings you necessarily incurred in doing your job. A deduction for laundry costs is allowable where the relevant clothing is protective clothing, a compulsory uniform, an approved non-compulsory uniform or certain occupation-specific clothing. Moreover, laundry claims of up to $150 do not have to be substantiated even if your total income tax deductions exceed $300. From 1 July 2012 all taxpayers, regardless of age, will have their concessional contributions capped at $25,000. Accordingly, if you will be over 50 years of age as at 30 June 2012, you may want to consider a concessional superannuation contribution of up to $50,000 before 1 July 2012. From 1 July 2012, the maximum co-contribution will drop from $1,000 to $500. An individual likely to earn less than $61,920 in the 2011-12 tax year should also consider making after-tax contributions to their superannuation to qualify for the superannuation co-contribution. There will be a means test for the medical expenses tax offset from 1 July 2012. Individuals with an adjusted taxable income above the Medicare levy surcharge threshold ($84,000 for singles and $168,000 for couples and families), may want to consider incurring medical expenses before 1 July 2012 to obtain the benefit of the current lower threshold and higher offset rate. The threshold net medical expense amount for the 2011/12 year is currently $2,060. This will increase for the 2012/13 year by an index factor for taxpayers under the adjusted taxable income means test amounts as above. However, for those over the adjusted taxable income means test, the net medical expenses threshold will increase to $5,000 and the percentage offset will decrease from 20% to 10%. 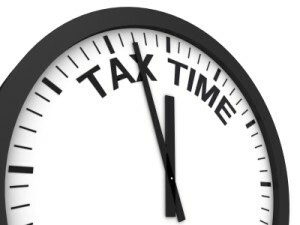 Call (02) 9871 3429 for taxation advice now.